Breathe Better in 2019 - Use a 3M Respirator for the Best Protection! Recently raging wildfires across California - the Bear Fire, Hill Fire, Woolsey Fire, Camp Fire, Yosemite Fire, Complex Fire and Holy Fire - along with other wildfires in drought-afflicted regions of the U.S. lead us to realize the HUGE risk of smoke inhalation. Respiratory Protection is critical in these areas throughout fire season. But there are many reasons to protect your lungs. Harmful vapors, gases, mists, silica dust and other particles can damage your ability to breathe even when contaminated air is invisibly endangering you. 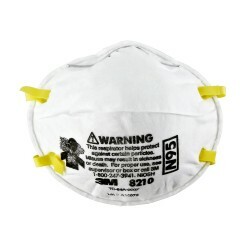 Below are the best-selling 3M Respirators (Dust Masks). Contact us with any questions at (800) 637-6606. Dust Masks: What's The Difference? 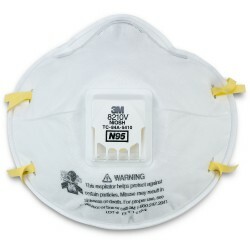 This general-purpose N95 disposable particulate respirator (dust mask) is known worldwide as one of the most reliable N95s available. NIOSH approves it for 95% filtration efficiency against non-oil-based particulate. The lightweight design sits comfortably over the user’s face, and the advanced electrostatic microfiber filter allows it to be worn for long periods without discomfort. The adjustable nose clip and headband create a secure seal around the entire mouth. Common applications: grinding, sanding, sweeping, bagging, dry chemical handling, assembly, petrochemical or pharmaceutical manufacturing, mining, and foundry operations. If you like the original 8210, you will love the 8210V. 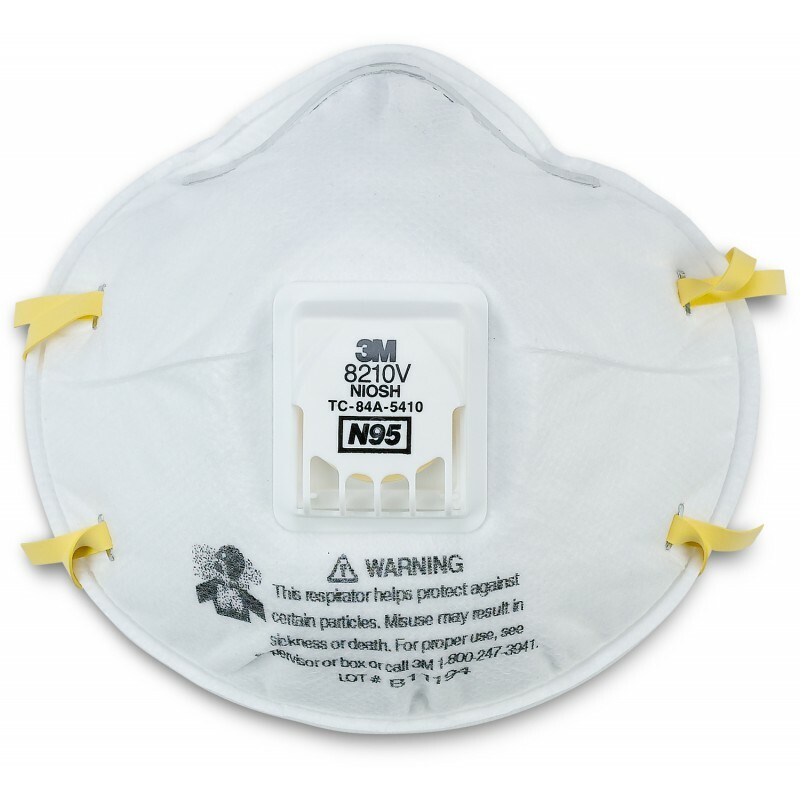 This mask provides the same great protection that is standard with an N95, meaning 95% filtration efficiency against non-oil-based particulate. 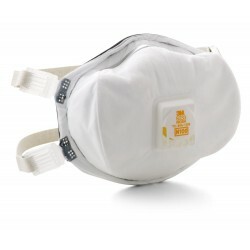 But the 8210V includes a CoolFlow Exhalation Valve for your breathing comfort. Worker comfort when wearing a respirator is largely based on how hot it feels on the face. Hot air is primarily produced as the wearer exhales. However, the CoolFlow Valve on this mask expels the hot air quickly. This allows the worker to feel more cool air on their face. 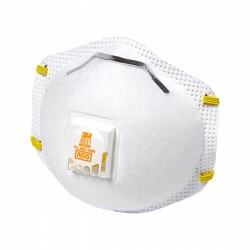 This is ideal for creating longer periods of wear time and increased respiratory protection. The adjustable nose clip and braided headband provide a secure seal. Common applications: grinding, sanding, sweeping, bagging and other dusty operations. 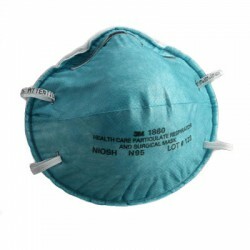 This medical respirator is designed to block out airborne particulate as small as 0.1 microns. It meets the CDC guidelines for tuberculosis exposure control set by NIOSH, and the FDA has approved it for general-purpose surgical use. It is particularly useful for medical procedures such as electrocautery and laser surgery, which involve powered instruments that can kick particles into the air. The cup shape resists collapsing towards the face. The mask has a greater than 99% bacterial filtration efficiency (BFE) rating to ensure it will protect from bacteria and bodily fluid alike. Common applications: operating room, clinic, TB ward, labor and delivery, infection control, stockpiling, laboratory, and emergency/pandemic preparedness planning. Increased protection, that's what you get from this mask. 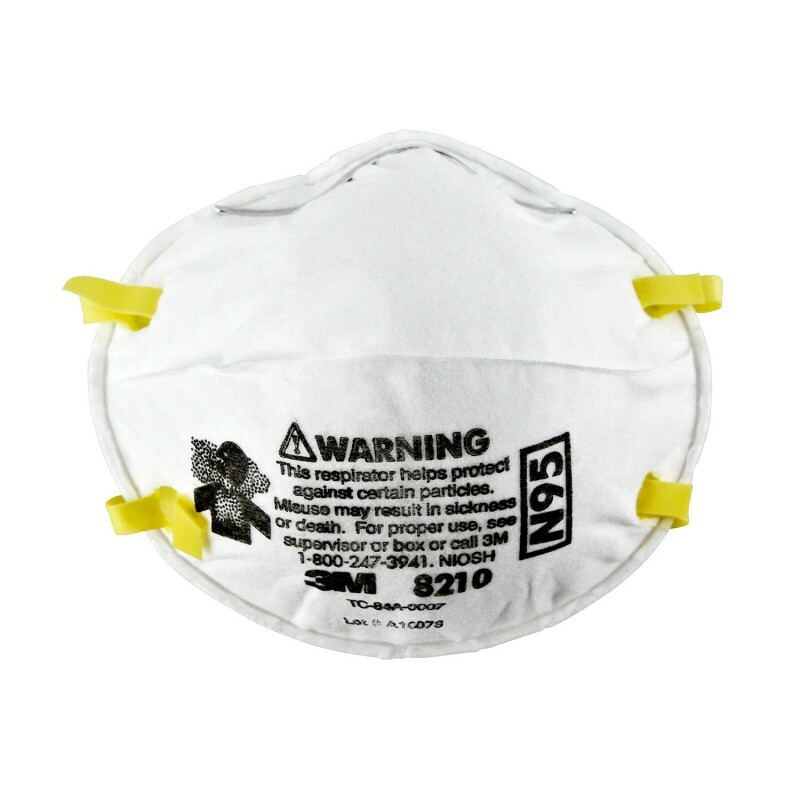 With an N100 rating, this respirator is designed to reliably give you at least 99.7% filtration efficiency against certain non-oil-based particles. Yes, it has softer material inside the mask for added comfort. Yes, it has the CoolFlow Exhalation valve for cooler breathing. But the main advantage is really that elevated filtration efficiency. The adjustable nose clip and adjustable head straps provide a custom and secure fit. Common applications: foundry operations, grinding, petrochemical manufacturing, processing of minerals, welding, construction, general manufacturing, mining, oil and gas, and transportation. Even more protection, imagine that! The P100 rating on this mask means it provides a minimum of 99.97% filtration efficiency against oil and non-oil-based particles. 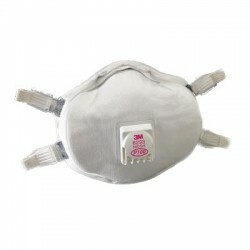 Included with this mask is the CoolFlow Exhalation Valve for maximum breathing comfort. As well, it has a foam seal along with fully adjustable straps, so you can customize how it fits on your face. All this should lead to more wearability and improved respiratory protection. Common applications: lead abatement, pharmaceutical manufacturing. Ideal for certain OSHA substance specific contaminants including lead, MDA, arsenic, cadmium (excluding asbestos).